It is my belief that the characteristics of those who have gone before us may be seen in us. As you will see, the Scarborough congregation has been known through the years for its audacity, its tenaciousness, its warm welcome offered to its ministers and visitors, its love of music and the arts, its pioneering and adventurous spirit, its lavish catering, and its formidable women. I promise you that although much is different in the church today, nothing has changed! Scarborough Unitarian Church was established, as were many of the town’s churches, as the result of a mission to serve the spiritual needs of summer visitors. On Thursday, August 5, 1875, the Scarborough Gazette announced that during the next few months there would be a new place of worship for a denomination not previously associated with the town – the Unitarians. Only four years previously, mainly for the benefit of summer visitors, sermons were preached by Unitarian ministers twice a Sunday in the Temperance Hall, North Street. 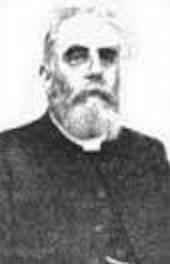 So successful was the experiment that it was decided to make the mission permanent and the Rev Joseph Crowther-Hirst was appointed to take charge of the growing congregation. But it was soon evident that the Temperance Hall was too small to accommodate both resident and visitor numbers and the search began for a suitable site for a Unitarian church. Accordingly, Albert Edwin Hick, a Scarborough solicitor, arranged the purchase of 800 square yards on the south side of Falsgrave Road opposite Hinderwell Place. The land belonged to Captain Porrit Webster, a shipowner, who lived in Lawrence House next to it. 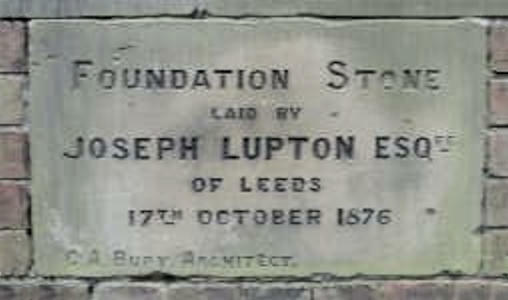 On Tuesday, October 17, 1876, the foundation stone was laid by Joseph Lupton, JP, of Leeds and within less than 12 months Scarborough’s Unitarian church opened its doors for the first time. The first ‘Summer Season’ of services was conducted in 1871. The following 2 years saw successful return runs and in 1873 a resolution was passed to continue services throughout the year. And so a church was born. The remainder of the story is best told, I believe, by following the ministers who lived through it. On Saturday 30th May 1874 The Scarborough Mercury advertised (at a cost of 1 shilling a ticket) an invitation to “A PUBLIC TEA” at which, almost incidentally, Rev. Hirst was to be welcomed to the church. Priorities, priorities! Rev. Crowther found matters, “certainly encouraging, but in a very inorganised (sic) condition”. He gathered together the (always formidable) ladies of the church and formed them into a visiting society; he established a Sunday School; he began fund-raising for a church building; and acquired the land on which the church still stands. 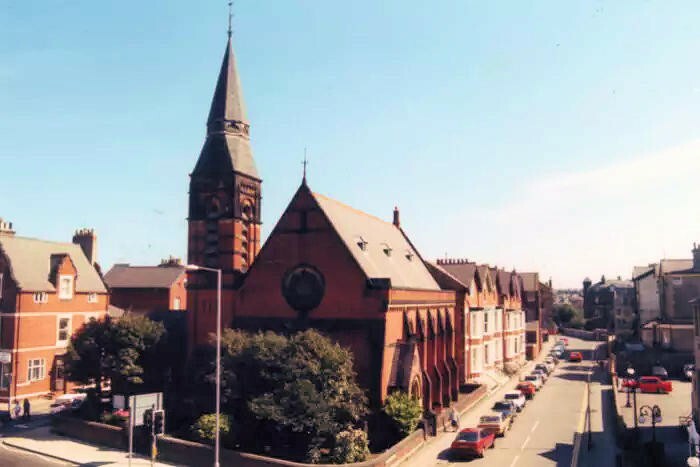 The church was designed by local architect Charles Augustus Bury in what he described as the ‘early-English style of Gothic’ and the foundation stone laid on 17th October 1876. 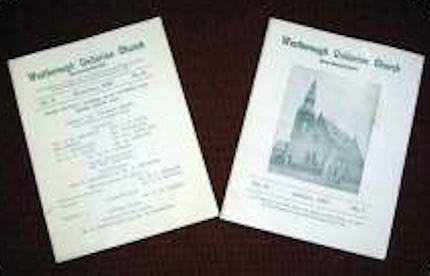 The church was formally opened on Wednesday 29th August 1877 at a cost of £4,500. Rev. Agate inherited a church building that was in need of some finishing touches. He presided over the interior decoration and the installation of a new organ sponsored by a donation of five guineas from the ladies of the Unitarian Church in Croydon, Surrey. The organ was inaugurated on Sunday 5th May 1881 and was said to have “a very sweet tone”. Poor Rev. Agate suffered from severe rheumatism in his later years and as part of his treatment his hands were bandaged. While lighting a candle in November of 1929, his bandages caught fire and he later died from “heart failure due to exhaustion from the burns he had suffered”. Rev. Amos continued to beautify the building with the addition of a stained glass window depicting the Virgin Mother and Child and Mary Magdalene. The monies were often raised through concerts followed by “a substantial tea”. Some things never change! Rev. Samuels was thought by some to be too accomplished a minister to have been called to Scarborough by the ‘audacious’ congregation. He stayed for four years though and became known as an eloquent speaker and prolific writer for numerous publications. He later travelled to India and ministered in Calcutta until his health broke down and he finally passed away in 1901. Rev. Thomas was a great literary and linguistic talent who wrote extensively as a translator and a scholar. In 1904 he also published Hortulus Pastoris, a volume of verse. One of his books, A Mating in the Wilds, can be read online here. Here the trail so nicely laid for me by Ann and Paul Bayliss went cold and, in the spirit of Rev. Binns, I am beginning to unravel the mystery of the church’s more recent history. I am no Sherlock Holmes but I am intrigued and so, with pipe in hand and deerstalker firmly pulled down over my ears, I present my findings thus far. It is a testimony to the quality of the relationship between the Scarborough congregation and their ex-ministers that in 1925, Rev. Wain made a gift of a portrait of Lord Airedale (one of the church’s original trustees) to the church. Of course, Rev. Wain’s ministry covered the period of the First World War during which conflict six young men from the church died. One of these six was Ernest William Newby (aged 24) who was killed on the first day of the Somme offensive, July 1st 1916. He was killed by gunfire after being trapped with his battalion, 10th Battalion West Yorkshire Regiment, in an exposed position. His death was reported in the Scarborough Mercury on Friday 4th August 1916 under the headline, “Scarborough Unitarian Killed in Action”. Any information you may hold on any of these men would be gratefully received and will be included here. Rev. Dolphin also appears to have been the first minister to proudly announce in print his attendance at a meeting in the far-flung town of Hull having been conveyed there in his Church Secretary’s new-fangled car. The pulpit remained vacant for only a matter of weeks after Rev. Dolphin’s resignation, during which time the ladies of the church once again swung into action to do just about every pastoral job possible. Rev. Munn took the pulpit for the first time on 7th November 1926. His first innovation seems to have been the inclusion of a picture of the church on the front cover of the bi-monthly bulletin. This excess of traffic is identified as the reason for low attendance at Sunday services. Some congregations, it seems, never learn! One other new and modern innovation Rev. Munn undertook was to arrange (with much public interest) A “Visit of a Lady Preacher”. At the time lady preachers were relatively new but their ranks included one Miss Barbara Thomas, a daughter of the late Rev. L.E.H. Thomas, a former minister of the church. I told you we breed formidable women here! Rev. Kempshall was not a man to sit by and subtly mention low attendance levels occasionally. No. He challenged his congregation to evangelize – he went as far as to suggest they “proselytize” – in order to increase the “spiritual birth rate” of the church. By September 1931 the church was apparently suffering financially. Subscriptions were down and capital resources were depleted. Rev. Kempshall boldly stated the facts and asked openly for free-will offerings in his bi-monthly bulletin. This may seem like the normal business of the church to many, but it was done at a time of unusual economic depression and so constituted a bold move indeed. An outspoken pacifist, a firm believer in the value of education, a cricket fan and a strong leader, Rev. Kempshall stood firm in the face of opposition from without, financial extremity and the continued problem of “absenteeism” within for 19 years – our second longest serving minister ever. Details of Rev. Parkinson’s time here are sketchy to say the least. Having said that, one event made the headlines in 1973. On Friday 19th October the Scarborough Evening News declared, “There will be a large congregation-sized cake on view in the vestibule…before morning service on Sunday. It has been made by church member Mrs E. Lahteela to celebrate the 15th anniversary of the Rev. G.W. Parkinson’s ministry. And after the service his congregation will be helping him to eat it.” Any excuse for a cake! 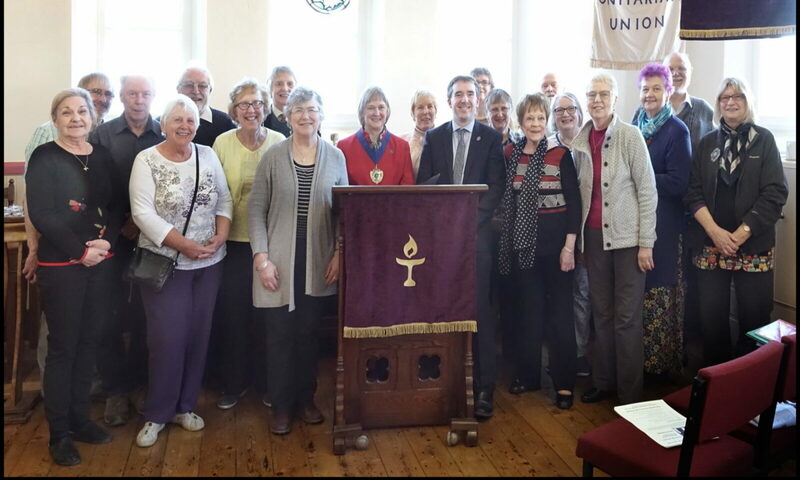 The first Lay Leader of Westborough Unitarian Church, Vernon Marshall took over pastoral care of the congregation at the age of 28, becoming a recognised Lay Pastor the following year. He combined his leadership of the Church with theological studies at the Unitarian College, Manchester, travelling back and forth every week. 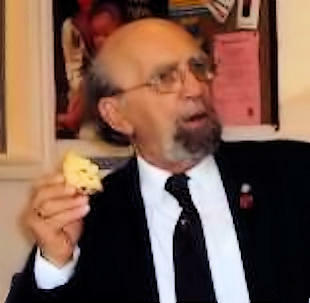 In 1985 he became a fully accredited minister and left to become the Minister to the Unitarian New Meeting in Birmingham where he was ultimately succeeded by Robin Boyes (see below). Dr Marshall now serves as Minister to the Dean Row Chapel, Wilmslow and the Hale Chapel, Hale Barns, Altrincham. Rev. Boyes, now retired but still regularly ministering in churches around Yorkshire (as of March 2011), has shared a few secrets about his time here. I asked him about the size of the congregation when he arrived as minister and was informed that they numbered “about 35 people and one very faithful white cat”. The cat, it seems, came every Sunday draped over the shoulder of its adoring owner. Mrs Pat Robinson is preparing some information for us about Walter Robinson’s time in Scarborough. Once again, watch this space. I would like to acknowledge the valuable research about the history of the church presented by Ann and Paul Bayliss in the Transactions of the Scarborough Archaeological and Historical Society, (42:2009). The balance of the research represents hours of poking through the archives of Scarborough Library the quality of whose holdings on the history of Scarborough in general – and of this church in particular – amazed me at every turn.